A recent advance in global journalism is "Data Journalism", which focuses on telling a story in a more compelling way, basing it on numbers and presenting the data effectively. 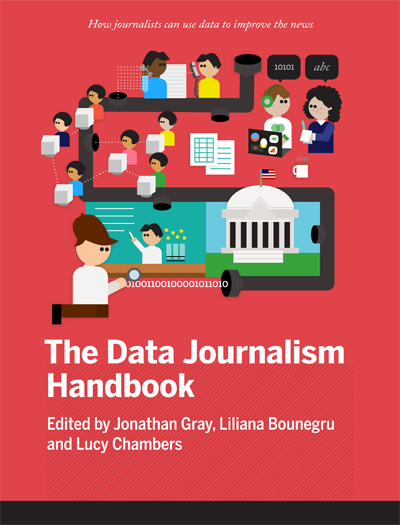 The new, free and online book Data Journalism Handbook provides a starting point and reference for journalists who want to base their stories on data and present them in a compelling way. The book was assembled by many journalists from top news agencies around the world, including BBC, The New York Times, The Guardian, Financial Times and Deutsche Welle. The handbook defines and illustrates data journalism in difference ways, including: "Data journalism can help a journalist tell a complex story through engaging infographics." Another interesting introduction to Data Journalism can be found in the series of free videos Journalism in the Age of Data: A Video Report on Data Visualization (also available in non-Flash and Podcast versions).